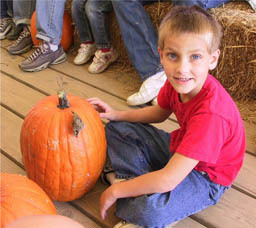 Each year we invite local business, organizations and individuals to be sponsors for the Westville Pumpkin Festival held at Prairie Meadow Park in Westville, IN. Platinum - $1,000 includes full-page ad in Pumpkin Festival Book. Name/Logo listed on banners & brochures, Sponsor Name announced during Festival. Gold - $500 includes half-page ad in Pumpkin Festival Book. Name/Logo listed on banners & brochures. Silver - $250 includes half-page ad in Pumpkin Festival Book. Name listed on banners.